If you watch for a sale, New York strip steaks are the most tender choice of beef for this stir-fry. You’ll only need one! 1. Slice beef cross grain in thin slices. Marinate in mixture of 1 T cornstarch, 1 T soy sauce, ginger & garlic for 15 minutes. Blanch broccoli with 2 T. water , covered, in microwave for 1 minute; drain..
2. Stir-fry beef in hot oil in wok for one minute; remove beef. 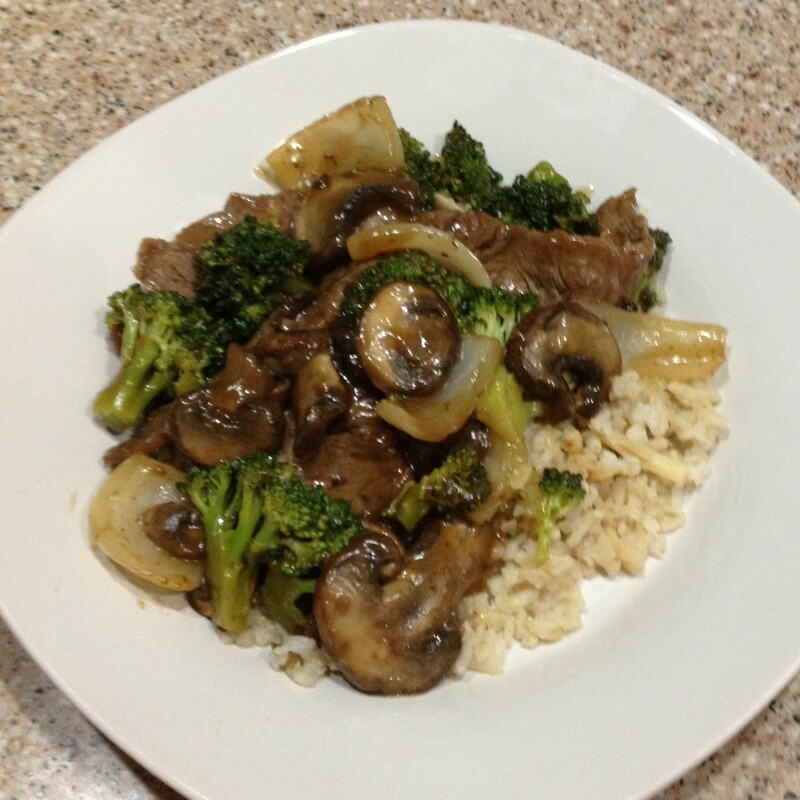 Stir fry broccoli, onion, & mushrooms for four minutes, or until tender-crisp. Add beef and mixture of 1 cup beef broth, 2 T. cornstarch, 1 T. sherry, & 5 T. soy sauce. Cook until thickened, stirring constantly. 3. Serve over brown rice.